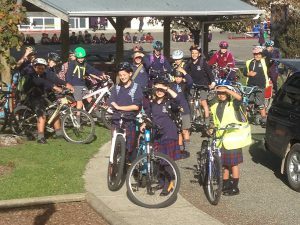 Catholic Schools throughout New Zealand celebrated their special character among their communities during the week commencing 16 May. 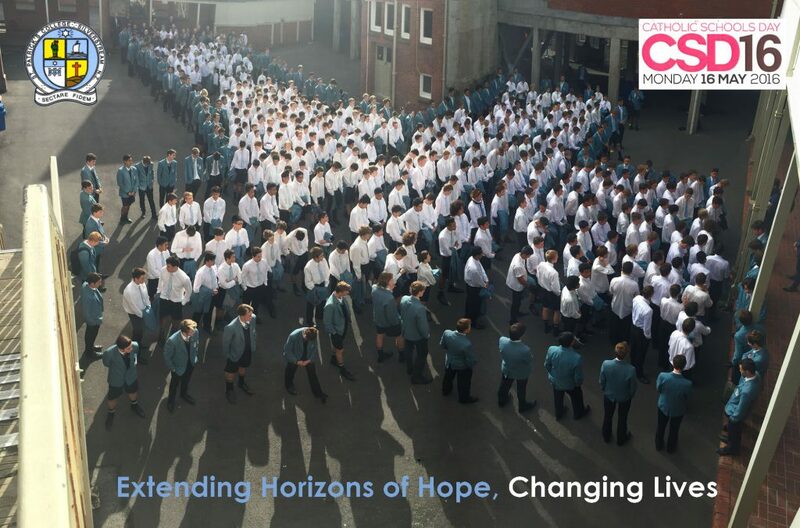 This year’s theme was Extending Horizons of Hope: Changing Lives. 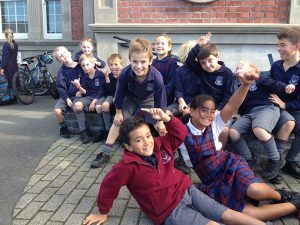 Schools from Wellington and Palmerston North dioceses share these stories. 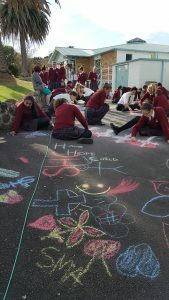 St Patrick’s College Silverstream students marked Catholic Schools Day 2016 by creating a cross in the school quad and praying together. 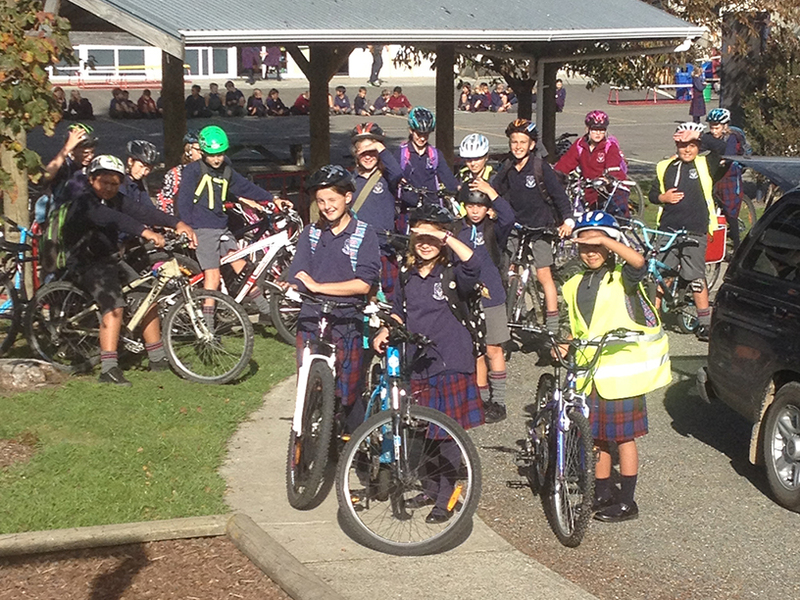 St Peter Chanel School’s 61 students joined parishioners for Mass at 9.30am on Monday 16 May, celebrated by Fr Seph Pijfers, parish priest Richmond, and Fr Pat Maloney, parish priest Motueka. The children led parts of the liturgy with confidence and sincerity. After Mass they travelled into the centre of the Motueka township to give away 200 ‘God’s Eyes’ they had made, to people they met. 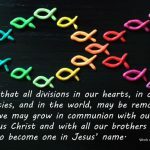 The children spent over a week crafting these symbols of God’s love and protection. They also created special blessings to go with the ‘God’s Eyes’, wishing everyone they met in town a ‘Happy Catholic Schools Day’. Their effort was greatly rewarded by the smiles and thanks they received in return. Celebrating what makes a Catholic School special, Sacred Heart Napier connected to the history of how our school started on founder Euphrasie Barbier’s vision of educating young women throughout the world. Stories were told of adventure, love of our school, and disasters of the 1931 earthquake and the 2001 fire. Students retold the stories in pavement art to a final activity of creating prayers and quotes in a form of bunting, which will travel to India to inspire the connection between our two schools. 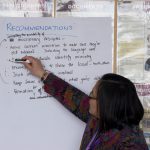 In true Hawke’s Bay style, the weather shone down on a creative day of fun and celebration of a school based on the foundations of ‘sisterhood’. 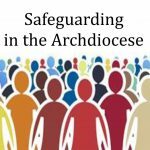 Thanks to the local community of Fr Paul Byers, the Mission Sisters and the Board of Trustees, who supported our day with their presence.